In this post, we revisit the previous list of companies we identified as the fast growing startups poised to raise funding in May 2015. We’ve updated the list with the same search criteria and found 42 new companies that may be ready for funding today. To get this spreadsheet of companies, go here. Which companies have raised funding? Which companies have decreased or increased in month over month headcount growth? Which companies dropped below a Growth Score of 400? As you can see, some of metrics that made these companies eligible for the original list have gone up or down. Only Amplitude and Bugsnag have maintained a 15% or greater employee month over month headcount growth. For any company, that’s impressive! The median amount of funding raised by these companies is $14.9M, with the four of these companies raising a Series A, three raising a Series B, and one raising a Series C. All nine of these companies have maintained a Growth Score above 400, whereas 11 startups from the original list have dropped below 400. The Growth Score is calculated with our Mindshare Score, which quantifies metrics from app downloads, social media traction, website traffic and press mentions, in addition to number of employees and capital raised over time. With these companies, you can see that their employee growth has gone from 15% month over month growth to 13% or below. The drop in Growth Score and employee growth may be an indicator that these companies are slowing down, overall. Many factors can contribute to this, so we recommend doing further research before crossing them off your own list. Even with the majority of these companies with a Growth Score over 400, employee growth month over month has gone down since May 2015. This metric is an important one to consider when analyzing your Mattermark search results because employee month over month growth can be a sign of a company’s health. A positive or negative percentage can represent has the potential to reflect the company’s trajectory. Maybe they’ve raised an unannounced round of funding if their employee growth is above 20% month over month. A negative percentage may signal slowing overall company growth on the curve of success. 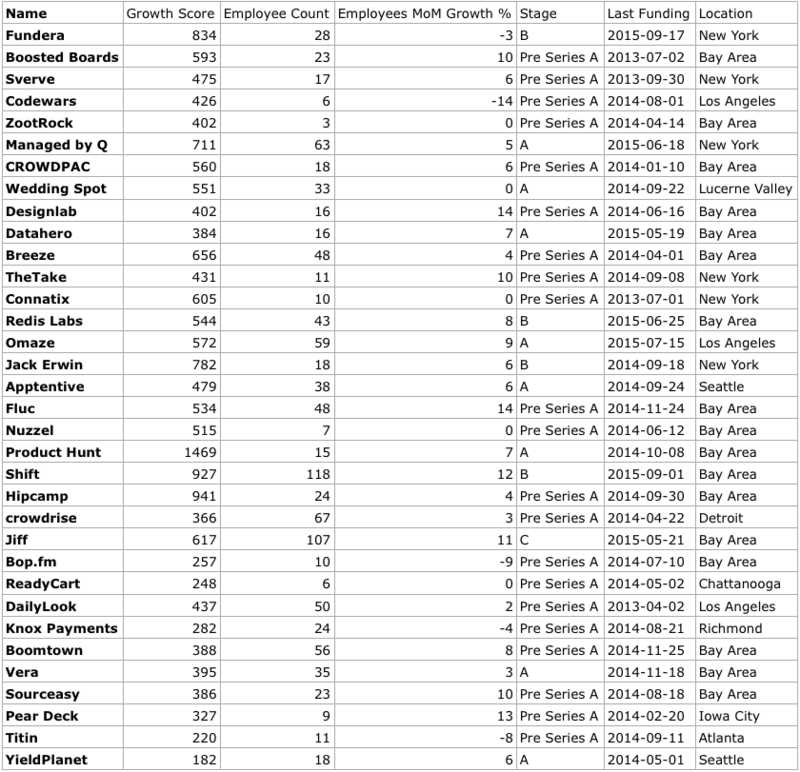 Again, with any company, many contributing factors impact the employee growth, Growth Score, potential for funding, and other metrics that Mattermark tracks. 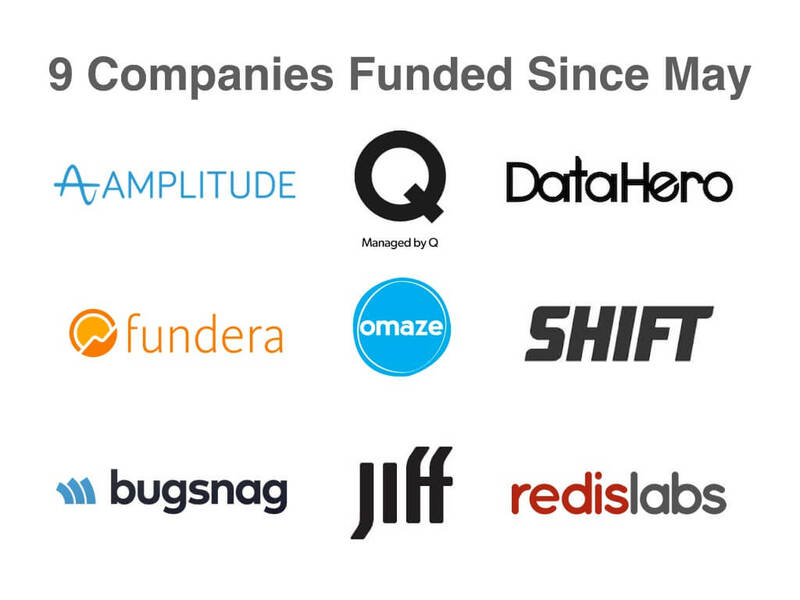 Now that we’ve revisited that list, let’s look at the companies that may be ready to raise funding, today. 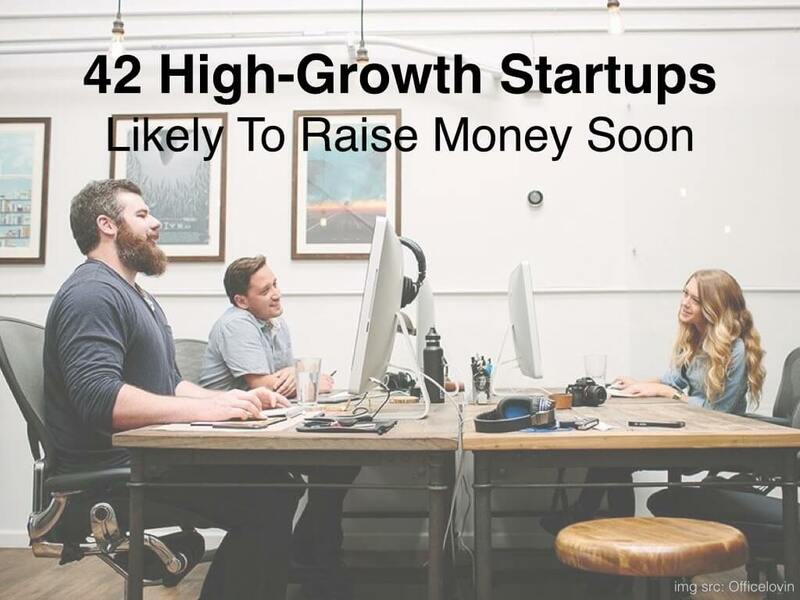 Based on the same criteria as before, the list has grown from 40 companies to 42. They all have a Growth Score at or above 400, have an employee month over month growth of 15%+, and have not raised funding in the past 6 months.